Should've Been a Cowboy Tour! Join Toby Keith in celebration of the 25th anniversary of his very first hit, 'Should've Been a Cowboy' which was the first single on his debut album in 1993. It eventually went on to become the most play country song of the decade, and earned Keith a place in the Songwriters Hall of Fame in 2015. This was the start of an incredible career for Keith, as he went on to create two quadruple-platinum albums and more than 20 No.1 singles. 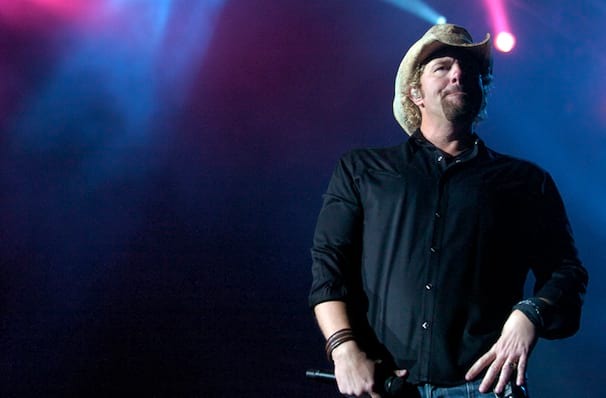 Toby Keith grew up in Oklahoma and his musical career was launched in 1993 when he was signed to Mercury. After transferring record companies a few time, he eventually signed to his current label, Show Dog-Universal. His first studio album, 'Toby Keith', was released in 1993 and since then he has gone on to release a total of 17 studio albums, with 60 chart singles. One of his most memorable singles, 'Courtesy of the Red, White and Blue (The Angry American)' was written following the death of his father and the September 2011 tragedy, and caused much controversy. He has sold more than 40 million albums across his career. He has won a variety of awards in his time, including 'Favorite Country Album' in 2002 and 2003, and 'Favorite Country Male Artist' in 2003 and 2005, to name a few. Sound good to you? 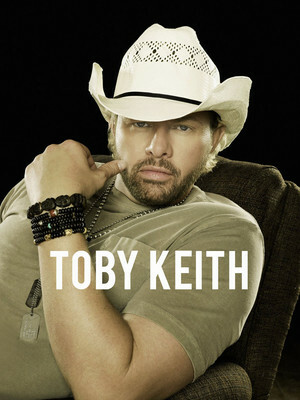 Share this page on social media and let your friends know about Toby Keith at Ford Center. Please note: The term Ford Center and/or Toby Keith as well as all associated graphics, logos, and/or other trademarks, tradenames or copyrights are the property of the Ford Center and/or Toby Keith and are used herein for factual descriptive purposes only. We are in no way associated with or authorized by the Ford Center and/or Toby Keith and neither that entity nor any of its affiliates have licensed or endorsed us to sell tickets, goods and or services in conjunction with their events.